Dr. Frelinger is Assistant Professor of Pediatrics at Harvard Medical School and Associate Director of the Center for Platelet Research studies at Boston Children’s Hospital. Dr. Frelinger also holds a joint appointment at the Dana-Farber Cancer Institute. Dr. Frelinger is currently a co-chairman of the Platelet Physiology Scientific Subcommittee of the Scientific and Standardization Committee (SSC), International Society on Thrombosis and Haemostasis (ISTH). Dr. Frelinger has authored more than 80 peer-reviewed original research articles and has been an invited speaker at national and international meetings on the topic of platelet biology and antiplatelet agents. For more than 25 years the focus of Dr. Frelinger’s research has been translational studies, combining basic and clinical research, related to platelets and thrombosis. Beginning with a post-doctoral position at Scripps Clinic and Research Foundation in 1986, where he discovered novel epitopes whose exposure is modulated by ligand binding (ligand-induced binding sites or LIBS) on the cell adhesion receptor glycoprotein IIb-IIIa (GPIIb-IIIa), his work has focused on investigations of basic platelet biology, development of platelet-related therapeutics, and evaluation of anti-platelet therapy through clinical trials. Following his fellowship at Scripps, Dr. Frelinger worked in the biotechnology industry, leading groups focused on the discovery of novel antagonists of GPIIb-IIIa, development of thromboerythrocytes (a novel modified red cell treatment for thrombocytopenia) and development of a small diameter tissue-engineered vascular graft for coronary and peripheral applications. In addition, Dr. Frelinger was a key contributor to the design, development, and clinical testing of the VerifyNow System, a point-of-care device which is now an industry standard for monitoring platelet function and anti-platelet therapy. 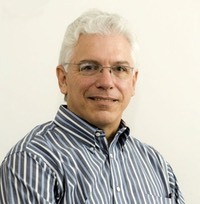 In 1998 Dr. Frelinger re-entered academia, as Research Associate Professor of Pediatrics at the University of Massachusetts Medical School, where his research initially focused on mechanistic studies to explain the increased mortality observed in clinical trials of oral GPIIb-IIIa antagonists. Dr. Frelinger was subsequently appointed Associate Director of the Center for Platelet Function Studies at UMass Medical School (Alan D. Michelson M.D., Director) where he and colleagues identified monocyte-platelet aggregates as an early marker of acute myocardial infarction, and were the first to report on inhibition in whole blood of platelet activation, markers of inflammation and platelet procoagulant activity by the active metabolite of prasugrel, a third generation thienopyridine inhibitor of the platelet ADP receptor P2Y12. In 2009 Dr. Frelinger moved to Boston Children’s Hospital and Harvard Medical School where he continues to focus on platelet-related translational work. Dr. Frelinger’s current research interests include 1) antiplatelet therapy as a treatment modality for sickle cell disease 2) the effects of thrombopoietin mimetics on platelet activation, 3) novel diadenosine tetraphosphate analogs with dual specificity for platelet P2Y1 and P2Y12 ADP receptors for their potential as anti-platelet drugs, 4) platelet function as a contributor to bleeding in immune thrombocytopenia, 5) platelets as models of neurons, and 6) induced pluripotent stem cell-derived platelets for therapeutic applications.